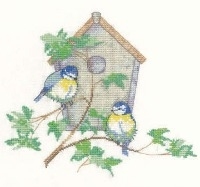 Animal Cross Stitch Kits - Cats, Dogs and Birds. A selection of beautiful animal cross stitch including cute cats and dogs. Designers include Heritage Crafts, Bothy Threads, and Brigantia Needlework.